(Surrey, England) It’s undeniable that the term "a whiter shade of pale" has become a much-evoked phrase in the English language. It would appear everyone remembers Procol Harum's first single – eleven million people own it! On September 17th the rock group that first put those words and that haunting melody into millions of ears during the summer of 1967 will headline The Web, a Festival Celebrating the Arts in Guildford, Surrey, England. The group will include Gary Brooker, the band’s original singer and pianist, who had promised a Procol performance in the year 2000. Matthew Fisher, the band’s original organist, will also appear. Completing the line up will be Mick Grabham (guitar), Mark Brzezicki (drums) and Matthew Pegg (bass). Procol Harum is a world-class rock band of unique vitality and finesse, a national treasure of which the UK is justly proud. 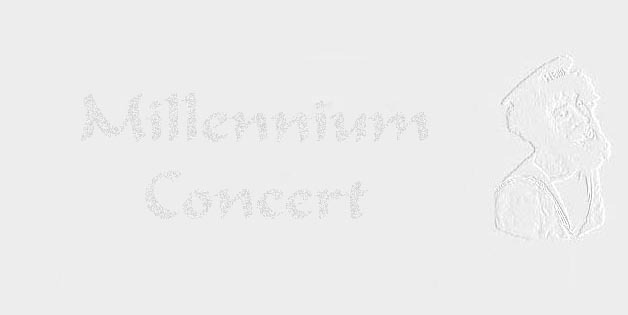 This will mark their first concert of the Millennium, and has been eagerly awaited around the globe. Fans will be flying in from Australia, North and South America, and all across Europe to witness it. At 7.30 p.m. the evening event kicks off with The New London Sinfonia, the Guildford Choral Society and other well-respected artists performing classical pieces. Procol Harum will take the stage as the climax to the evening, when they will join the orchestra and choir. They are also expected to play as a five piece for parts of the evening. Procol Harum achieved acclaim in the early 1970s when they played with a symphony orchestra and choir in Edmonton, Canada. A recording of the event included the international chart-climbers Conquistador and A Salty Dog and was their best selling album. A percentage of the proceeds of the Festival is earmarked to fund two local charities, Abracadabra, an appeal to help build a new ward at Surrey County Hospital and Chase. The Web will take place on the grounds of Stoke Park, Guildford, which is approximately 30 miles south west of London. The event opens at 11 a.m. and daytime events will include classical, popular and traditional music, dance, drama and visual art. There will be food, a fun fair, entertainment for children and even designated chill-out zones. Further information on Procol Harum, an up-to-date list of scheduled artists, travel directions to the Fair and more can be found at www.procolharum.com. or www.guildford-arts.org.uk . Tickets are £12 in advance (£15 on the day of the show). From the UK advance tickets can be purchased by sending cheques, payable to "Guildford Arts Consortium", together with a stamped, self-addressed envelope and your precise requirements to Colin Callegari, Treasurer, Guildford Arts Consortium, 18 Warren Road, Guildford, Surrey GUI 2HB, UK; telephone 01483 569490; email: colinandwendy.callegari@virgin.net. This method will save the booking agency fee and will give an additional 10% of your ticket price to the charities. From the outside the UK tickets can be purchased by credit card by phoning Guildford Civic Hall on +44 1483 444555.